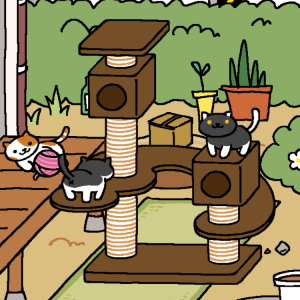 The game, also called Kitty Collector, seems to be hitting hard and fast in my world. It’s super easy—there’s no skill involved. You have a “backyard” where you put food, toys, and other so-called Goodies. Cats come and leave you gifts which you can then use to buy more stuff. 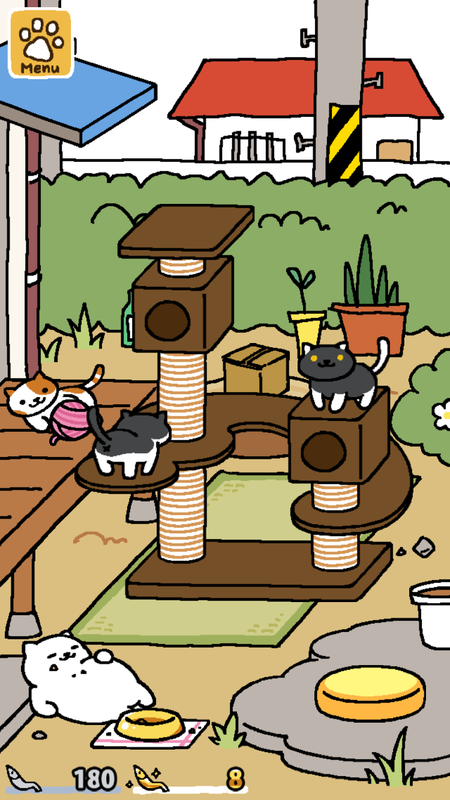 The goal is to spot all 47 kitties in your yard, at one time or another. It’s become quite the thing – even becoming GeekWire’s app of the week (and it’s free for Android and iOS). Four, yes, four, of Twitter’s top 10 execs just left…or were pushed out, depending on your theory. The heads of engineering, media, product and Vine have all departed. The Washington Post thinks it’s a really bad sign, on top of other bad sign s. Time will tell. icon. Facebook says it’ll be coming to the rest of the world in the coming weeks (and, I would expect, Android some time soon). Back of America and Well Fargo, according to sources, working on Apple Pay integration (possibly others too). If it happens, it would be good for consumers because it’s less prone to fraud. The scammers—fake facades that are put on ATMS and designed to steal the card and password information—wouldn’t work. For $12, a gentleman named Sanmay Ved managed to purchase the domain name google.com when he saw it was available on Google Domains. The Alphabet company spotted the buy and almost immediately cancelled it. Sanmay was given a reward for finding a security flaw/bug in the system and Google gave him a reward of $6,006.13” (“Google” spelled with numbers). He donated it to a good cause and, moved by that kindness, Google doubled the amount. 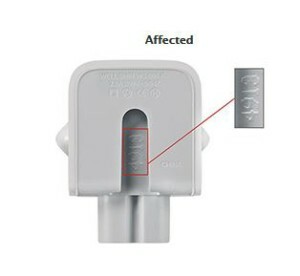 Some of Apple’s AC two-prong style wall adapters are being recalled. No worries for you U.S folks though—this recall is only for those designed for use in Europe, New Zealand, Australia, Korea, Argentina and Brazil. Head to your nearest Apple store or authorized retailer if you have one, or you can request a new one online. Some Brother Printers, a GE Washing Machine, and a blood glucose monitor are among the first devices to automatically reorder supplies (called Amazon Dash Replenishment). When the printer is running low on ink, for example, it’ll order you what it needs (or how about your Brita water filter, or your company’s Purell or Gojo station?). This whole concept is either brilliant (easy!) or creepy (my appliances are thinking! )…or, yes. Bloomberg reports that Apple is exploring, “cutting-edge technologies that would allow iPhones and iPads to be powered from further away than the charging mats used with current smartphones.” It could be available as soon as next year. Microsoft released fourth quarter 2015 Windows phone and they’re not pretty. They sold 57% fewer than they did in 2014. In fact, they’ve sold 110 million in total compared to 4.5 BILLION iOS and Android phones during the same period. It’s not looking good, people—and actually most are saying it’s dead.